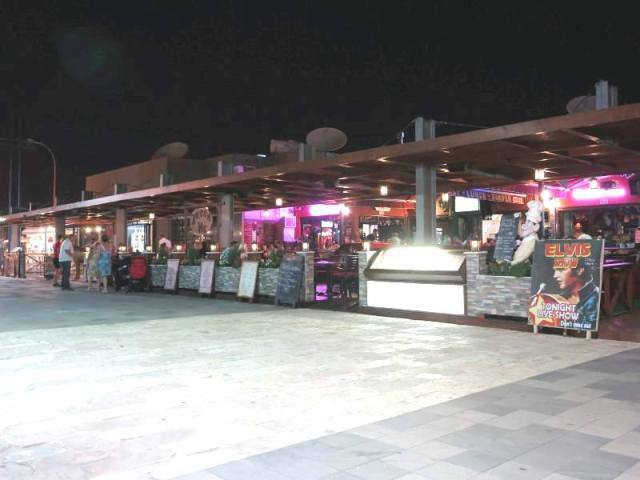 The Queen Vic Pub is located at Ayia Napa harbour and is open all day and through to the early hours of the morning. 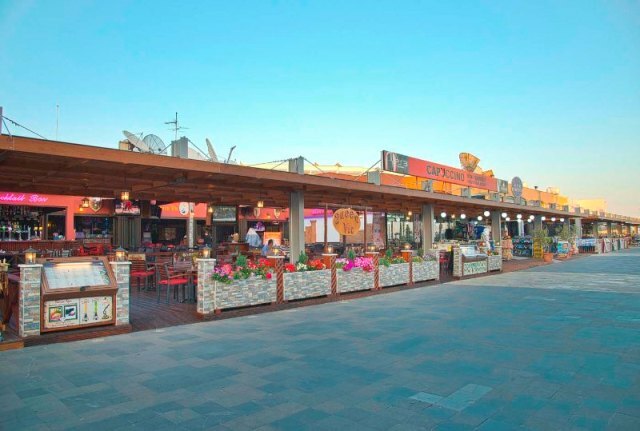 It serves breakfast, lunch and dinner and at night time there is karaoke and tribute acts and live shows. 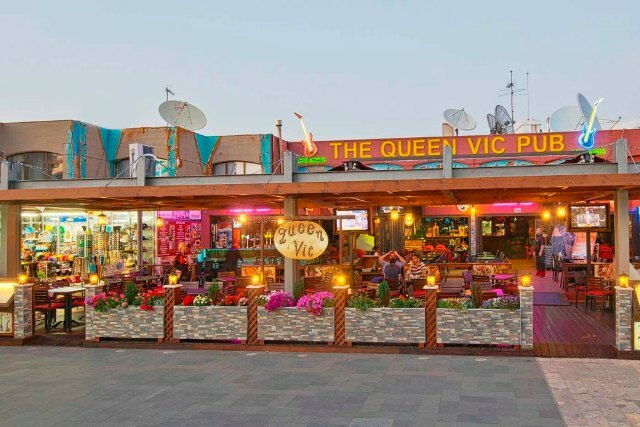 The Queen Vic is a large family friendly bar and operates from April through to November. 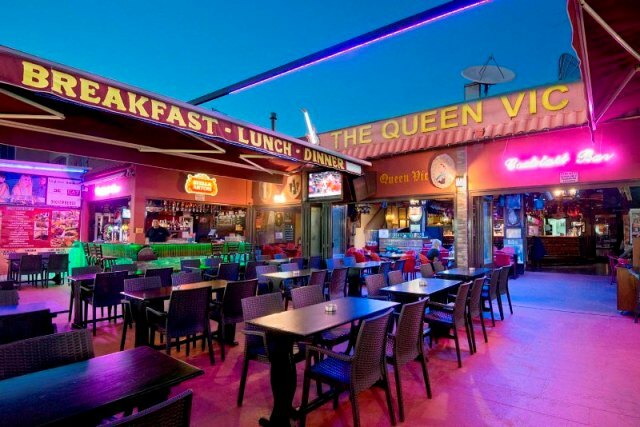 The closest hotels to the Queen Vic Pub are Faros Hotel, Limanaki Hotel and Blue Harbour Apartments. 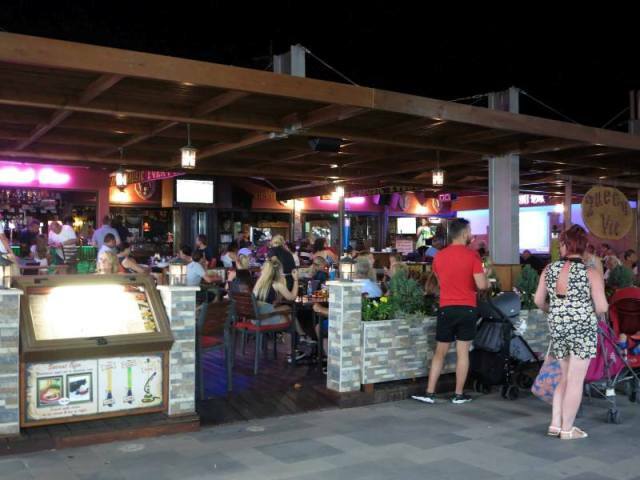 Other bars in the same area as the Queen Vic are Jello Cafe, Aragma Cafe and the Bulldog Inn.